Capitalization of the UK's most profitable industry, financial services, is facing risks of a significant decline in a Brexit scenario, stirring debate whether the economic consequences of an "Out" vote would be too dire to handle. Kristian Rouz — This week's referendum of the UK potentially leaving the European Union (EU) is already taking its toll on the Canary Wharf's performance despite the outcome still being undecided, with polls suggesting an almost equal division of opinions on the matter amongst the British public. City of London, the main financial hub of united Europe for roughly three decades, is facing an increased exposure to risks stemming from the uncertainty surrounding the possible consequences of an "Out" vote, whilst the status quo deems a more encouraging perspective for the UK's most profitable industry and one of the biggest drivers to the nation's GDP expansion. 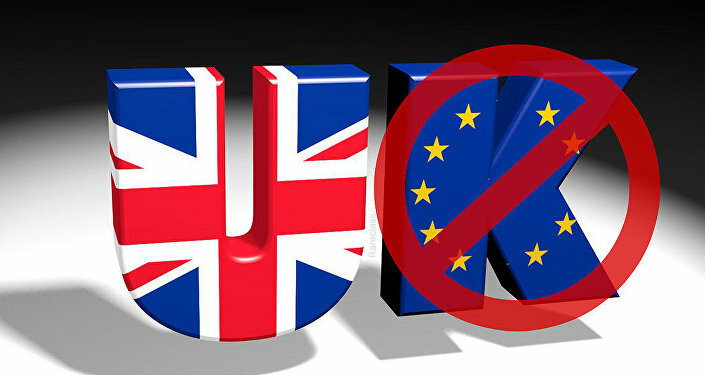 Subsequently, as investors put most of their activities on hold until the situation clears out, the speculation of the UK re-negotiating trade and investment agreements with the EU in the case of an "Out" vote is bearing signs of a looming massive sell-off in British assets, including stocks and the currency. 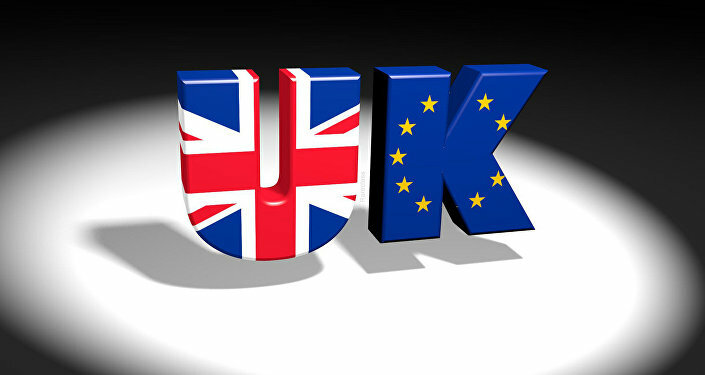 A Brexit case poses severe threats to the UK's economy, as reiterated repeatedly by the nation's Tory PM David Cameron, key members of the opposition Labour party, top monetary policymakers of the Bank of England (BOE), and many investors and observers. The UK's dependence on trade in goods and services with the rest of Europe is undeniable, meaning Canary Wharf might face a downturn in its volume of operations after having thrived (mostly) throughout the past thirty years after the Thatcher cabinet deregulated financial services in the mid-80s. Whilst such a downturn in one of its key industries would mean slower growth for the UK in the short-to-mid-term, a Brexit scenario leaves an opportunity at rebalancing the entire British economy, rendering it less dependent on oil and finance and spurring growth in other sectors, as domestic consumption would spur expansion in domestic production of goods and services due to the consensus-expected plunge of the sterling's FX rate after the not-so-pretty divorce. "Everyone is going to hold their breath until Thursday or Friday, when we get to know the result," Adam Hewison of the Maryland-based Ino.com said. Last week, several polls indicated more UK voters were leaning "Out," but after the controversial Jo Cox assassination, public opinion allegedly swayed toward the "Remain" option. Consequently, the sterling rebounded almost 2 percent against the dollar on Monday to $1.47 and stocks rose, revealing the interdependency of market sentiment and Brexit polling. According to Office of National Statistics figures, the gross value added in the UK's financial services industry surged from 73 billion pounds in 1997 to 125 billion pounds in late 2014, having hit as high as nearly 140 billion pounds twice, in 2007 and mid-2009. These figures reflect the heavy dependence of the UK's financial sector on the developments in broader European economic affairs, with the EU's debt crisis of the early 2010 effectively slashing Canary Wharf's profitability. That said, an abrupt separation of the UK from the mainland would likely result in a drop in the UK's most lucrative sector of the economy. According to a Deutsche Bank assessment, a Brexit would be "an economic disaster for the UK," and other international banks like Citigroup, Goldman Sachs and HSBC Holdings Plc (the only British-based enterprise on the list) voiced similar concerns. However, a possible decline of the City of London's financial power would hardly affect the UK's labor market, as hiring in the finance industry only recently showed signs of recovery, with job creation gaining momentum since 2013, surging from 2.10 million payrolls to 2.23 million in late 2015 compared to the 2010 lowest at 2.00 million. Whilst the British economy maintained an annualized growth at above 2 percent in 2015, outperforming the rest of Europe, the insignificant impact of Canary Wharf to demand-side economics in the recent years suggests a Brexit case would be less of a disaster, but rather a rough and sudden structural rebalancing. A decline in Canary Wharf's capitalization might also prove short-lived, as the London-based banks would continue their operations in the mainland regardless of the outcome. As outlined by the German Deputy Finance Minister Jens Spahn, "it doesn't make sense to say that there's added value to being a member of the European Union." The only realistic issue with Brexit is that "nobody has a clue what 'Out' looks like," as former Chancellor of the Exchequer Alistair Darling put it. "We do not know what the consequences would be. The referendum is just the beginning of the process," Darling said. Therefore, the eschatological sentiment surrounding any attempt at Brexit scenario assessment is hardly viable, given the BOE's policy response, effects of the lower FX rate of the sterling to the economy, and the UK's still-appealing investment position in global trading are all factors on the brighter side of things.